A Nigerian soldier was shot dead in a battle some years ago. But as he was about to be buried, he came back to life. Published below is the story of his experience in the land of the dead. The story was narrated during a Deeper Christian Life Ministry Church revival programme many years ago. This true life story will warns you of the reality of hell and of the needs to repent, confession of sins, and believing the gospel so as to escape punishment in Hell. The follow account of divine revelation of dead experience of this Nigeria soldier was later published by the deeper christian life ministry church magazine in September 2002, which portrayed the aftermath of a dead Nigeria soldier and his experience in the land of the dead. In this account of divine revelation of hell by this Nigeria soldier, you will understand that life is empty after death and nothing in life is worth fighting for. Eternity is not holiday, is not a long journey or vacation, after millions years it has just began. Eternity is life without end. It’s appointed unto a man once to die, after then comes the judgment of God. Everything done in the secret shall be open on that day, follow by eternity in Heaven or Hell. Do you know that you will outlive the sun? Do you know that when the earth and stars have all passed away, you will just begin your endless day- a time without end? Once you are born you will never cease to live. It happened during the Nigerian Civil War (1967-1970). I had enlisted in the Nigerian Army, determined to fight on the battle-field. At the end of our training, I was made a Quarter Master. I was to be in charge of issuance of uniforms and ammunition to soldiers. In my heart, I loathed the Quarter Master work. I was itching to be a combatant soldier. To cut a long story short, I was finally allowed to fight on the battlefield. I wasn't quite three months at the battle front when I was shot. When the bullet hit me, I did not know that anything had happened. All that I observed was that my surroundings became enveloped in a thick darkness that cannot be described. Then I began to run in the thick darkness. I did not know that I had died. While I was running in the darkness, I saw a spotlight ahead. I was happy. If I could pass through the darkness, I would enter into the light, I had reasoned. I pressed on. When I reached to just a short distance from the light, I saw two paths in front of me. As I stood wandering which way to go, I heard a voice ask 'Where are you coming from?' I answered that I was coming from the world"
"From the world?” the voice asked. I said yes. The voice asked how long I lived in the world and what I did while in the world. Then I began to confess. I did not even know that anything had happened. I did not know that I was dead. It was just like a normal conversation. READ ALSO: Emmanuel Agyarko Divine Revelation Of Hell Fire. I recounted everything I had done from the age of seven. I wanted to tell lies but it was impossible. My mouth spoke as if a tape recorder was playing. When I had talked and talked, recounting all my evil deeds, I burst into tears. Yet as I was weeping, I kept on confessing all the evil I did. When I finished talking, a book appeared before me in which was written all the sins I had committed since the age of seven. I realized then that in death, there is no question of illiteracy. Even if you were illiterate in life, you will be able to read in death. 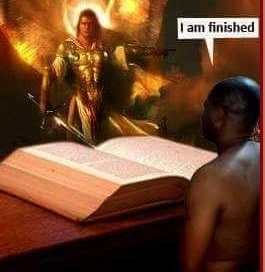 That day, when you finish confessing, you will read again all the sins you committed, for there is no partiality there. The book was in front of me and I continued to read from it. When I finished reading, judgment came. I heard, "look to your left and go in there" Before the voice that spoke to me could finish talking, I found myself on the pathway on the left. The moment I took to it, I began to hear ahead of me terrifying voices crying, shouting, "woe! Fire! And many other things I cannot describe here. READ ALSO: The Danger Of Burning Hell. I had not reached the place, but the noise and the heat were terrible. The whole area was unbearably hot because of the permeating heat coming from the inferno of hell. The fire cannot be described with words. It was like a great bush fire rising and rolling up into folds. But as I was about to go into the fire, I heard a voice say, "Son, your sins are forgiven". I was then told to go back into the world and make right my ways. I suddenly turned around and sped back the way I came. By then in the world, mourners had already removed my body from the place where I was shot, in preparation for my burial. The military doctors having confirmed me dead, the army authorities had no choice but to bury me. Orders were given to that effect. They were now performing the "Silent Drill" for me. This is the last ceremony performed for a soldier before his burial. It was while the Silent Drill was on that I felt my spirit enter into my body. But strangely, I was ashamed and did not want to open my eyes. I did not quite know where I was. I had not wanted to leave the place I had just come from, yet I dreaded entering into that fire. A Major that was in charge of the funeral ceremony, noticed some movement within the coffin and ordered the carriers to wait. Then they opened it to examine me. I opened my eyes and immediately began to tell the Major the things I had seen. I told him there is God and that there is hell as well. I was not able to control myself, but went on talking. I had not talked for more than 3 minutes when great pain came all over me. It was then I realized that I had been wounded. I was taken to hospital for treatment. Do you know you will live forever; you will be alive eternally. Eternity has no end. This is a solemn and fearful truth. Suppose it were possible to tie a rope from the earth to the Heaven and an ant were to go to the sun and return on this rope, when the ant has done that a hundred times, then a small fracture of eternity has just passed. Suppose a small boy were to empty an ocean with a cup, the time it will take the boy to do so it a very tiny part of eternity. If it were possible to gather the entire book that had ever been written in all fields of human endeavor and in all languages, and a student were to read them one by one, the time he will spend reading all the books will only amount to a minute fracture of eternity. 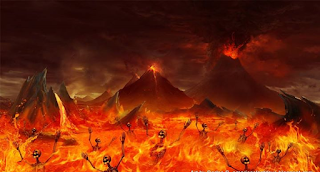 READ ALSO: Divine Revelation Of Hell By Bill Wiese-23 Minutes In Hell. If a grain of sand represents one day, all the sand at the sea-shore will represent only a small, negligible part of eternity! If a bird went to sharpen its beak once a year at a mountain, when the bird went to the mountain this way, only an insignificant part of eternity wound had passed. Eternity is the life-time of the never-dying God. You will live for eternity just as God is alive eternally. Once born, a person remains consciously alive for ever. 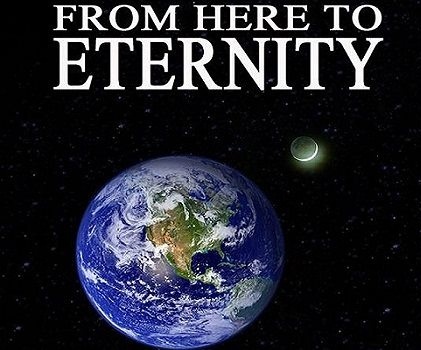 Eternity does not terminate at the time of death. Death is just another wrung on the ladder of eternity. It is only gateway to eternity- either in Heaven or in Hell. There is the resurrection of life and there is the resurrection of damnation, this may shock you. I pray it does. Every sinner will end-up in eternal Hell and every saint will go into eternal Heaven. You will live forever in Heaven or Hell. There is no neutral place; noting likes purgatory. Jesus Christ never talked of anything or anywhere like that. Someone said ' I am on the fence', NO! There is no fence. You are either a Christian or a Sinner. Mark 8:36" For what shall it profit a man, if he shall gain the whole world, and lose his own soul? You are either on the narrow ways to heaven or on the broad way that leads straight to hell. You will either live with God forever in heaven or live forever in hell with Satan. These are stark realities you must face. Isaiah 55:6-8 "Seek ye the Lord; Let the wicked forsake his way, and the unrighteous man his thoughts; and let him return unto the Lord, and He will have mercy upon him; He will abundantly pardon; For my thoughts are not your thoughts, neither are your ways my ways, said the Lord"
Choose You This Day; where do you want to spend eternity? You can only answer with an action. Neglect this message and warning. Postpone your day of repentance and continue in sin. Then you have answered the question. Eternity in Hell is sure for every sinner who refuses or neglects to repent. Choose you this day, where will you spend eternity? 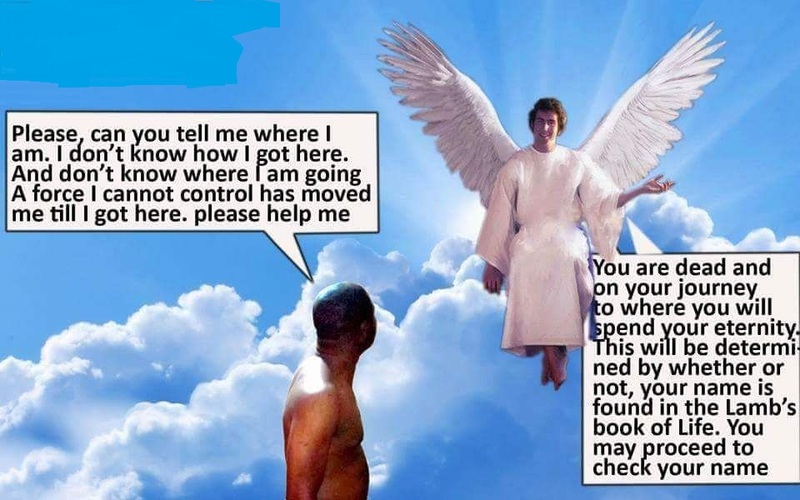 In Heaven with God? Then you must repent now! Therefore seek ye the mercy of the Lord, while its still available. After death no more mercy and eternity follows. Proverb 28:13" He that cover his sins shall not prosper: but whosoever confess and forsake them shall have mercy"
0 Response to "Divine Experience Of A Nigeria Soldier In The Land Of The Dead"